We need to talk about white supremacy. Not in the “bad” people, but in our own white selves. Let’s start today, not just in New Zealand. But in America or wherever we are. White supremacy has been with us throughout our nation’s history. Through slavery…leasing convicts…lynchings and other racial terrorism…Jim Crow…racial hierarchy…racial profiling…mass incarceration. Why didn’t I talk about America’s wealth being built with the blood and sweat of enslaved black people? Why didn’t I talk about “good” people standing by and watching? Why didn’t I talk about anti-blackness and white supremacy? Though I didn’t articulate I was better than black people, I don’t remember ever articulating I wasn’t. There is no such thing as being colorblind when it comes to racism. My silence was complicity. White silence. White apathy. White centering. White privilege. I am white, and I need to own it. I am white, and through my acceptance of America’s original sin, I am a white supremacist. 🌿 take a moment today to consider how you show up. Her name was Gwen and she was 8 years old, a year younger than me. She knew exactly what she was doing when she snatched that wallet from the ground, ripped out the few dollars, and dropped the incriminating wallet into the nearest garbage can. Within moments, I saw another little girl crying, flanked by an adult who was helping her look for her dropped wallet. Well, by God’s constant grace, I grew up to be mostly the I-found-this-how-can-I-help-you person, rather than the take-the-money-and-run person at the ballpark. However, I also grew up to be mostly not angry enough to speak up about injustices. The silent person who watched Gwen take that girl’s money without so much as uttering a peep was not sad and angry enough. Whatever I feared about speaking up was stronger than my sadness and anger over the injustice. Today that story came to my memory. It reminded me of my complicity in white supremacy. When I was born, Jim Crow was in full swing. Even in suburban L.A., we still did plenty of racist things–the words we used, the costumes we wore, the jokes we told, the fears we nursed, the near complete segregation of ball fields, schools, shops, neighborhoods, churches and everything else I frequented. As laws were passed to give civil rights to people of color, my family slowly began to change. I tried to become one of the ‘good’ white people. I didn’t do blatantly racist things any more. I didn’t use racist words. I made friends with people who were bused into my school in 1974. (Finally…two decades after Brown v. Board of Education!) I tried to be the good and nice person who wouldn’t take a little girl’s wallet. The person who wouldn’t be racist. The person who would never be a white supremacist. However, even as I tried to not to be racist, I knew deep down that me being a good person would never solve society’s problem. I rejoiced with the country when Obama was elected. I was a 30-year independent voter who temporarily became a Democrat so I could caucus for Obama in Iowa. I didn’t pay too much attention to the hatred and vitriol with which some people viewed his election and presidency. I thought they were a racist minority that was gradually getting snuffed out and sent into the crevices of society. Then the unthinkable happened and I finally noticed. The racist vitriol, among other factors and entities, elected trump to the presidency. OK. Then I began to get it. An individual’s “goodness” or “niceness” is really not enough. This was more urgent than I had ever realized. Thanks to the writings of Layla Saad, I now have names for what I was doing as a ‘good’ white person. • White Apathy shows up as laziness, tiredness, fear, boredom, numbness, perfectionism, turning away from the news, and other apathetic feelings and actions when it comes to engaging in anti-racism practice. • White Apathy shows up when people have done very little anti-racism work, so they don’t understand just how urgent this work is. White people, we are all complicit in keeping racism and white supremacy as strong as ever in our country. Our institutional, systemic, toxic, and endemic racism needs dismantling. It’s going to take education. This is black history month. Let’s get educated. We all need to stop justifying and start listening. I don’t want to be silent anymore. I took a challenge from Jill Canillas Daley (@jcd118) to post seven book covers, one a day for seven days. No explanation, no reviews. I joined in the challenge. (It reminded me of chain letters from a generation ago, for those of you as old as me.) Anyway, I decided to choose from the limited books I have in Bahrain and I easily chose seven good books. I posted them, as instructed. No explanation. No review. However, I decided to also post a few book covers during the week with a bit of comment, and I’m including those here because they are too important to post without some explanation. I had Jim Wallis’ book in my Kindle for a year before I got around to it. I bought it when it first came out, but when I started following #CleartheAir, I noticed I had work to do. I went back and read the book. It started me on a journey. Robin DiAngelo was the next book that came to my attention. I was struck with new thoughts after a lifetime of living with my privilege and not really noticing it. Quote: In my workshops, I often ask people of color, “How often have you given white people feedback on our unaware yet inevitable racism? How often has that gone well for you?” Eye-rolling, head-shaking, and outright laughter follow, along with the consensus of rarely, if ever. I then ask, “What would it be like if you could simply give us feedback, have us graciously receive it, reflect, and work to change the behavior?” Recently a man of color sighed and said, “It would be revolutionary.” I ask my fellow whites to consider the profundity of that response. It would be revolutionary if we could receive, reflect, and work to change the behavior. Layla speaks directly to people who are holders of white privilege. I was confronted with my white apathy and white silence. She has to keep telling us white people the same things over and over again. When I went to her Instagram posts and read some of the comments, I see white people commenting on her posts who continue to center our world on whiteness, with blatant white superiority, tone policing (I could listen if you would say it in a nicer way.”), or white exceptionalism (“I’m a good white ally. I’m glad I’m not like those others.”) And the rest of us get away with casually viewing or ignoring because of our white apathy and silence. The world goes on, with us not doing this work with urgency and fidelity, comfortable in our own white supremacy and privilege. 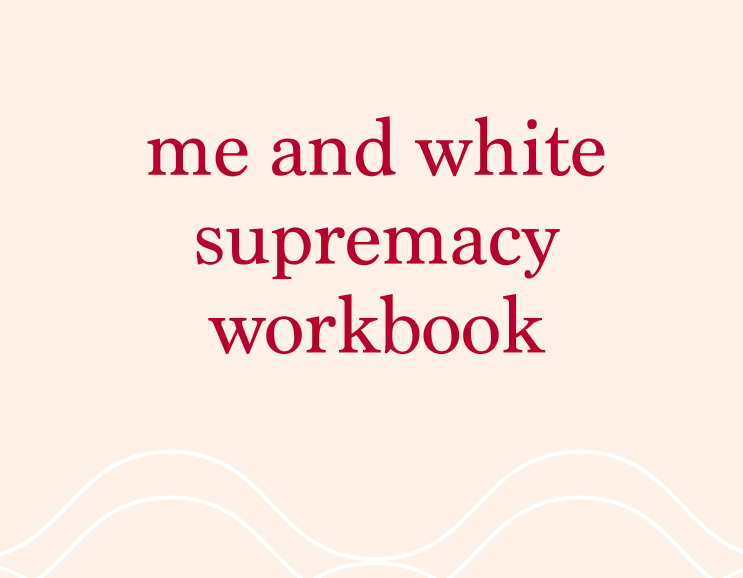 Quote: The Me And White Supremacy Workbook is a one of a kind self-guided workbook and personal anti-racism tool that has been designed to help you to take ownership of your participation in the oppressive system of white supremacy, and to help you take responsibility for dismantling the way that this system manifests both within you and within your communities. 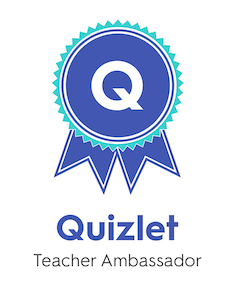 This workbook is part education, part activation. 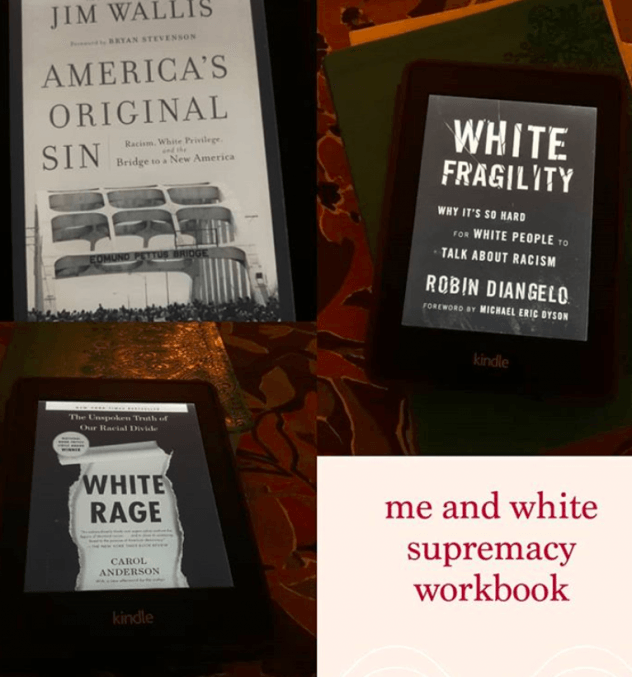 It helps you to take a clear look at the different multifaceted aspects of white supremacy and how they operate in both subtle and direct ways within you, and within others. This one hurt the most. It was difficult and important to read history through the eyes of a black scholar who has recognized white rage throughout our history, white rage against black people. I have read a precious few history books by authors of color. We have a history that has never been repented of. We never made amends, and we are living with the harvest that comes from planting seeds of rage for hundreds of years. We reap what we sow, and until we rip out the crop, burn up the weeds, plow the ground, and get it ready for a replanting, we will keep dealing with the same ugly chapters repeated over and over again in new centuries. It will be a lifelong and intentional battle to stop systemic, toxic, and endemic racism in our country. I’ve committed to joining the battle. In school I wish I'd have read some of our history from a non-white perspective. I wish I would have read more texts like this with my 8th graders. 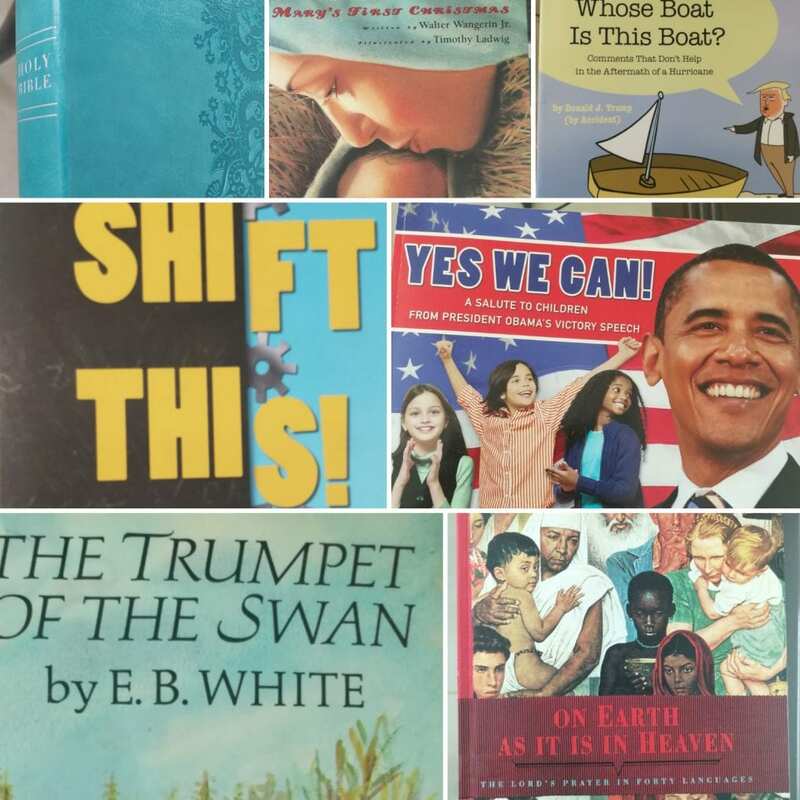 Which books do you need to post with an explanation? Watch Professor Anderson talk about White Rage.